The sixth grade class at Exeter-Milligan has accomplished many great things so far this year! In math, all of the students have mastered the multiplication facts from 0-12, which has really helped them to become more successful mathematicians. The students are also becoming more effective writers, as they have learned how to write complete sentences, create topic sentences and conclusions, organize their paragraphs, edit their work, and more. Members of the sixth grade class are currently working on informative paragraphs about an animal that interests them. 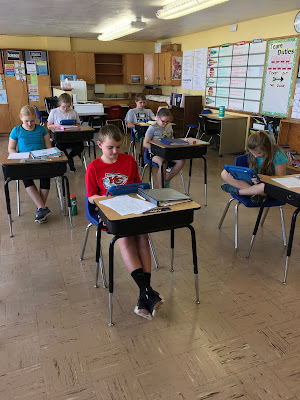 The class was required to research the animal, take organized notes, cite their sources, and plan their paragraphs before beginning their rough drafts. We look forward to seeing the finished products! 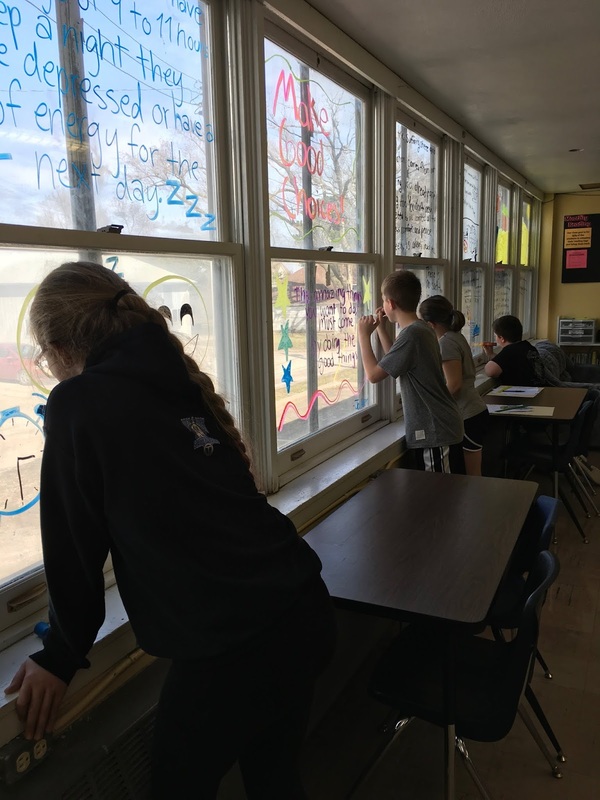 Additionally, both group and individual projects have been an enjoyable experience for students, as they have learned more about the parts of speech, ancient civilizations, American history, job careers, and much more. Currently, students are creating informational posters in science that concern extreme weather. Projects like this provide students an opportunity develop research skills, use their creativity, organize content, and present their knowledge in front of an audience. As the year comes to a close, the sixth graders will be taking part in the Health Rocks program, complete state testing, attend a field trip to the Henry Doorly Zoo, compete in the annual elementary field day, and continue to prepare for Junior High. Students are ready to finish their elementary days on a positive note and move on to the next level in their educational careers!